MADISON – While they all may line up together, the differences between the guard, center and tight end positions are many. That hasn’t stopped Bill Nagy from transitioning seamlessly between the three spots this season. Nagy, a fifth year senior from Hudson, Ohio, started the first four games of the season for the Badgers at right guard with Kevin Zeitler out with an injury. When the opportunity arose for him to fill in at tight end, Nagy jumped at that opportunity as well. Now, with Peter Konz aggravating his right ankle injury, Nagy is set to start at center for the first time in his career Saturday against Indiana. As a senior, and one who missed all but three games last year, Nagy is savoring every chance he gets to put on the Wisconsin uniform, whether it be No. 76 or No. 89. “Yeah, that’s probably the hardest part,” Nagy joked, referring to switching jerseys depending on the position. “It’s been a lot of fun, I’m just happy that I got the opportunity to play some tight end, too. It’s unfortunate what happened with Zeit at the beginning of the season and then obviously, Pete going down with his ankle and everything with that. Nagy missed much of the 2009 season as a result of the events of July 16, 2009. On that night, as he rode his moped home from Camp Randall Stadium, going east on Dayton Street, a northbound car on Park Street ran a red light, hitting Nagy. As a result of the crash, Nagy suffered a broken right wrist and torn ligaments in the arch of his right foot. Though he was able to tough it out through three games, Nagy eventually missed much of the season and was not 100 percent through spring practice. Having fought back, both mentally and physically, from those injuries, Nagy has become one of the most important members of the 2010 Badgers. When Konz went down against Iowa, Nagy was more than capable of stepping in. He did, and helped the Badgers escape with the one-point victory. After the injury became an issue again at Purdue, Nagy stepped in and the Wisconsin offense didn’t miss a beat. His performance at three positions this season has been impressive to say the least. “Bill’s just the total team player and a selfless player. He’s in his fifth year now and he just wants to get on the field,” Scott Tolzien said. “That’s what makes teams special is when you’ve got a bunch of guys that are willing to just sacrifice their roles for the good of the team. Bill’s been a great example of that, and he’s been huge for us. While playing three positions for the Badgers is one thing, Nagy’s ability to play center serves an even greater purpose. If he were unable to do so, head coach Bret Bielema would have to move Moffitt to center, forcing someone else to fill in at left guard as well. With Nagy at center, the Badgers can maintain a stronger sense of continuity on the line, something that is especially important with Wisconsin’s power style of football. As long as they’ve got Nagy, who can fill in anywhere on the line, the Badgers should not have to worry about such dramatic changes this season. MADISON – In football, things often are described in militaristic terms, with the game frequently described as a war or battle. In reality, the sport and its players pale in comparison to those that dedicate their lives to service in our armed forces. On the 11th hour of the 11th day of the 11th month in 1918, the major hostilities of World War I formally ended with the Germans signing the Armistice. Since 1919, Nov. 11 has set aside to remember the nation’s veterans. On this Veterans Day, several members of the University of Wisconsin football team will honor their family members that are serving or have served their country in the military. “I’ll be thinking of my grandpa for sure,” running back Montee Ball said. “Last year, against Wofford, he passed away and that was really rough, so I’m most definitely going to think about him. Ball missed that game last year against Wofford as he dealt with the loss of a beloved family member. This week, he’ll be playing with his grandfather in mind. A common theme among the Badgers was grandfathers who served in various wars, but who did not talk much about it with their grandchildren. Among those are linebacker Mike Taylor whose grandfather served in the Air Force during World War II, but died before Taylor was born, and safety Aaron Henry whose grandfather dropped out of high school to serve his country. Another is running back James White, who was not sure which branch of the military his grandfather, who passed in 2005, served in. White’s cousin recently joined the Marine Corps, giving him another family member to honor on this day. 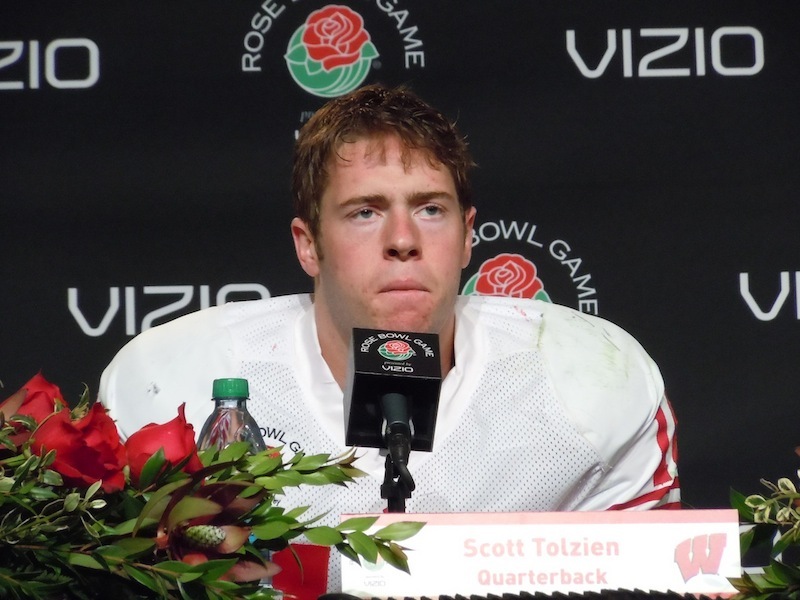 Like White, quarterback Scott Tolzien has a close relative currently serving in the military. Tolzien’s grandfathers each served during World War II, his paternal grandfather in the Navy, and his maternal grandfather in the Army. With three close family members having ties to the armed forces, Veterans Day is important one for Tolzien. “It’s close to my heart,” Tolzien said. I think it’s important and it should be that way for everyone really. We’re pretty blessed to have it the way we have it because of the people that are serving and protecting our country. Safety Jay Valai has two cousins currently serving, one in the Coast Guard and another in the Marine Corps. When asked which branch he would choose if he had the chance, Valai debated a few before going with the Air Force, though he would also consider the Army and Marine Corps. Defensive end J.J. Watt was one of the few whose grandfather had told him stories of his time in the military, but Watt still was unsure which branch he served in. What he did know was that his grandfather served in the Korean War, and fought in the Battle of Porkchop Hill. Beyond that, Watt said he has told him plenty of good war stories, despite never specifying which branch of the armed forces in which he served. 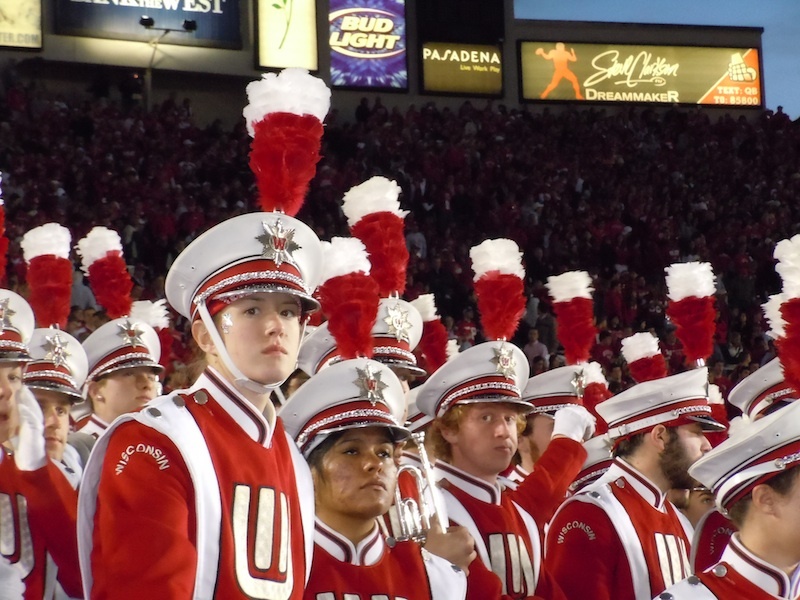 WEST LAFAYETTE – Most of the focus after the Badgers’ second half turnaround led to a 34-13 victory was on the turnovers, which seemed to spark the entire team. Simple execution may have had something to do with it, too. In the first half, Wisconsin ran into a familiar problem as it struggled to stop Purdue on third downs. The Boilermakers were 6 for 9 on third down conversions, as the UW defense struggled to get off the field and give its offense an opportunity to put point on the board. “We knew the only way we were going to win this ballgame was getting off the field on third downs, and we were able to do that in the second half,” said linebacker Culmer St. Jean, who shifted the momentum with a third quarter interception. The Boilermakers’ converting on two-thirds of their third-down attempts was even better than the 9 of 18 mark put up by Michigan State as they handed Wisconsin its only loss early last month. If the Badgers didn’t turn things around after halftime, they were likely headed for a second road loss in Big Ten play. Fortunately, as head coach Bret Bielema said in his postgame press conference, they didn’t need anything resembling superhuman effort to turn things around. In particular, defensive end J.J. Watt pointed to the team’s performance on first and second down defensively, which made third downs more difficult for Wisconsin and easier to convert for Purdue. When they went out in the second half, the Badgers forced the Boilermakers to pick up more yardage on third down, averaging 3rd-and-5 on 10 attempts. Purdue went 3-for-10 on third down in the second half. For safety Jay Valai, the bye week wasn’t quite as beneficial to his health as it was for most of his teammates. After aggravating his right calf on Wednesday, the senior further injured it Thursday, partially tearing the muscle. When the game rolled around Saturday, he was noticeably limited by the injury, especially in the first half. Eventually, the coaches were forced to sub Shelton Johnson in for Valai. Amid the Badgers’ troubles in the first half, Watt appeared to have suffered an injury, leaving him on the Ross-Ade Stadium turf a little longer than everyone else. He got up and walked off under his own power, but nonetheless, provided a scare to the Wisconsin players, coaches and fans. Afterward, he expressed little concern over the shoulder injury. 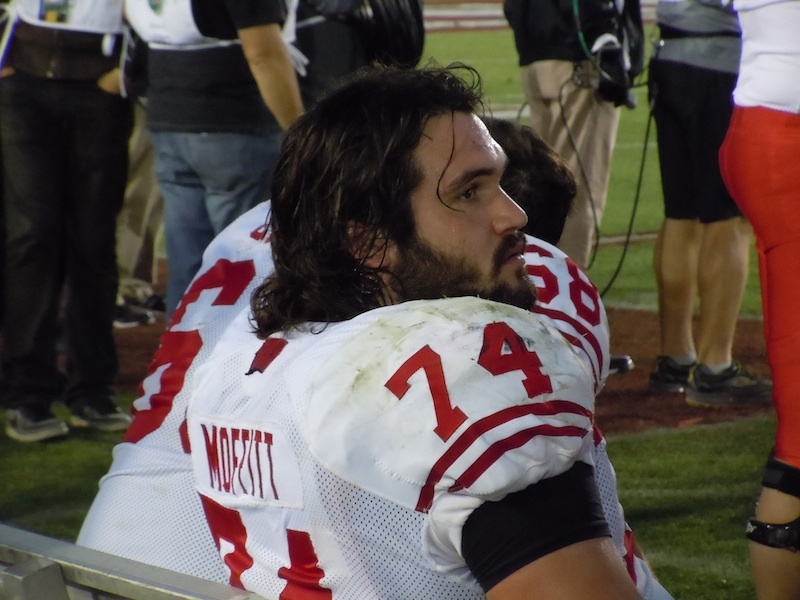 While there was plenty to celebrate about in the second half of the 34-13 victory, Wisconsin saw center Peter Konz go down with an injury. As he walked off the field afterward, Konz appeared to be in significant pain, while using crutches and wearing a boot on his right leg. According to Bielema, the sophomore aggravated the right ankle he injured against Ohio State, which forced senior Bill Nagy to take over at center once again. “We came in here, got our mistakes down and had a chance to talk to everybody. Coach had a chance to talk to us, and we knew we needed to come out and play Wisconsin football and we get focused because we weren’t in the first half. Once we came out and we knew our assignments, we went out and did it.